Thanks to Weibo user Alucardo (阿鲁卡多), we are treated a gallery depicting a painted prototype of Toyworld’s TW-M06 Leia, their take on a Masterpiece inspired Generations 1 Arcee that was revealed originally at TFcon Toronto 2016. From these images we can see the paint job brings that head sculpt and details to life in robot mode. We are also treated to shots of the vehicle mode from front and back, showing off painted details like seats and headlights . In addition, we see this Masterpiece inspired figure striking a variety of poses, demonstrating the wide range of articulation build » Continue Reading. The post Toyworld TW-M06 Leia Painted Prototype Images appeared first on Transformer World 2005 - TFW2005.COM. Takara-Tomy’s @TF_PR twitter account has shared an image of the upcoming Transformers Legends Ginrai standing side-by-side with his US equivalent, Titans Return Powermaster Optimus Prime. Much like the original Super Ginrai toy compared to Generation 1 Powermaster Optimus Prime, this new release is more than just the Hasbro version repackaged for the Japanese market, featuring additions including remolded chest, feet and forearms, with additional articulation and new guns to boot. Thanks to the new feet, Ginrai also stands around a half-inch taller than Powermaster Optimus Prime. We know that ultimately Takara-Tomy’s Ginrai will also combine with the upcoming Godbomber » Continue Reading. The post Transformers Legends Ginrai and Titans Return Powermaster Optimus Prime comparison image appeared first on Transformer World 2005 - TFW2005.COM. Thanks to TFW2005 member vbjjune, we have our first US retail sighting of Titans Return Leader Class Soundwave! Just in time for the Christmas shopping, Soundwave was found at Walmart in Conroe, Texas. Be on the lookout for more sightings! Happy hunting TFW! The post Titans Return Leader Class Soundwave Found at US Retail appeared first on Transformer World 2005 - TFW2005.COM. The official Hasbro Transformers Facebook Page has posted a video showcasing the evolution of the Movie Voyager Optimus Prime figures. While the first image is clearly from the Titanium line, the final image is our best look yet at Transformers: The Last Knight Voyager Class Optimus Prime. Check it out, after the jump. The post Transformers Movie Voyager Optimus Prime Evolution Video appeared first on Transformer World 2005 - TFW2005.COM. The latest season of Transformers: Rescue Bots is now available on Netflix. Power up, energize and roll to the rescue as the fourth season of TRANSFORMERS RESCUE BOTS is out now on Netflix. The animated series will introduce new characters – the first-ever female Rescue Bot “Quickshadow” voiced by Alex Kingston (“ER”) and “Chickadee” voiced by Kristen Schaal (“Bob’s Burgers”). TRANSFORMERS RESCUE BOTS also celebrates its 100th episode milestone this season. More info on NowOnNetflix. The post Transformers: Rescue Bots Season 4 Now Available On Netflix appeared first on Transformer World 2005 - TFW2005.COM. IDW Publishing has shot us a press release stating that they have established a Satellite Office in Portland. Appropriately named as Woodworks, the branch [get it?] is run by Creative Director Dirk Wood. The new premises is the start of a new line of books, anchored by a high-end, curated magazine, featuring contributions by, and conversations with, the most talented and diverse creators in the industry. While the primary focus will be comics, it will also have a dash of general entertainment and culture features; film, TV, art, music, history, and more. Further details will be unveiled in the coming weeks as this » Continue Reading. The post IDW Publishing To Establish Satellite Office In Portland appeared first on Transformer World 2005 - TFW2005.COM. Thanks to Maketoys Facebook page we have an in-depth look at MTRM-9 Downbeat which is a Masterpiece inspired Jazz. He’s rocking the classic Porsche design and comes with multiple faces and accessories, including speakers that connect in both modes! Check out the images after the break and discuss on the 2005 Boards! The post Maketoys Downbeat Colored In-Hand Images appeared first on Transformer World 2005 - TFW2005.COM. Site sponsor and friend The Chosen Prime have sent through their weekly newsletter. Check out a selection below and hit them up for the full list! _________________________ The Chosen Prime’s Holiday Sale is underway! Latest Pre-Orders Fans Project LER-06 COMERA Fans Project LER-05 ECHARA Perfect Effect PC-15 Upgrade Kits LG Ginrai Iron Factory EX19 SHADOW TENGU Takara <a href="http://news.tfw2005.com/2016/12/09/chosen-prime-newsletter-12916-329859">» Continue Reading. The post The Chosen Prime Newsletter 12/9/16 appeared first on Transformer World 2005 - TFW2005.COM. TFW2005 friend and sponsor Woozy Moo sent through their latest newsletter. Check it out below and head on over to grab those deals! _______________ Ends Sunday, 12/11 @ 11:59PM ESTLast Sale before Standard Shipping Deadline Get Your Gifts Now! ​ Snapshot Transformers Combiner Wars Liokaiser Boxed Set $129.99 $114.99 Star Wars Rogue One: Jyn Erso 6” Black Series $22.99 $9.99 Star Wars Rogue One – Black Series 6” Wave 7 Case $131.94 $79.99 Marvel Legends – Doctor Strange – <a href="http://news.tfw2005.com/2016/12/09/woozy-moo-newsletter-december-2016-329853">» Continue Reading. The post Woozy Moo Newsletter December 2016 appeared first on Transformer World 2005 - TFW2005.COM. Site sponsor and friend Toy Dojo has sent through their monthly newsletter. Check it out below and read on for the full blast! _________________ Toy Dojo Special Moves is here for December with lots of Holiday Cheer! We are giving away an early release of Titans Return Sixshot – check out the details here! Featured NOW IN STOCK at the Dojo! – Titans Return Deluxe Class Wave 3 Set ( Hot Rod, Triggerhappy, Twinferno, Breakaway) – <a href="http://www.toydojo.com/hi-metal-r-macross-vf-1j-valkyrie-ichijyo-hikaru/" » Continue Reading. The post Toy Dojo Newsletter December 2016 appeared first on Transformer World 2005 - TFW2005.COM. Here is the weekly update from our friend and sponsor Robotkingdom. 1. Rogue One – A Star Wars Story Items Available NOW! 2. For any customers who purchased the Hasbro Titans Return Wave 2 items with USD40 or above, will receive 1 Hasbro Exclusive Titans Return Wave 2 Sticker Per Order! https://www.facebook.com/Robotkingdom/photos/?tab=album&album_id=1276931532325559 3. Free TF Movie 3 Trading Cards for every orders and unsent Preorders! For every USD50 ordered, 4 pack of TF Movie 3 Trading card will be included. For over USD300 Order, A Card Album will also be included! If Any customers » Continue Reading. The post Robotkingdom Newsletter #1355 appeared first on Transformer World 2005 - TFW2005.COM. Ready Ready, Red Alert! MP-33 Masterpiece Inferno is hitting mailboxes worldwide and today we have an in-depth look at the head of Autobot Fire Control! Inferno keeps with the licensed vehicles as a Fuso T951 Fire Truck, a popular truck in Japan during the 80s from Mitsubishi which also had a fire truck production run. MP-33 takes a lot of cues from the cartoon in his styling, but comes with chrome and flat gray accessory parts in order to mimic the toy or cartoon at will. He continues the march to a fuller 84/85 line up, and we welcome him » Continue Reading. The post MP-33 Masterpiece Inferno Gallery appeared first on Transformer World 2005 - TFW2005.COM. Titans Return Sky Shadow In-Hand Images – Topspin Confirmed! 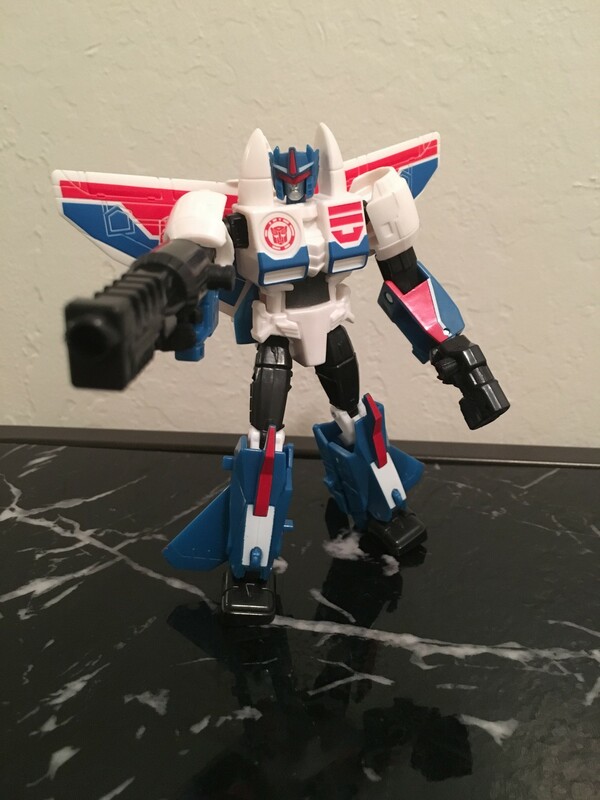 Thanks to Namphamvmr of reddit we have a look at Titans Return Sky Shadow in hand. On top of the first looksies at the toy itself, the back of the box confirms rumors of Titans Returns Topspin. Sky Shadow is based on a Japan-only retool of Thunderwing from 1989, and was one of a group of elite “Phase 6” Decepticons in the IDW comics alongside Sixshot and Overlord. This mold is most likely heading for a repaint into a more natural fit – Overlord down the road. Read on to check out the images! Full set on Imgur. The post Titans Return Sky Shadow In-Hand Images – Topspin Confirmed! appeared first on Transformer World 2005 - TFW2005.COM. Combiner Wars Deluxe Groove Released at Retail? ‘Tis the season for giving and we may have just stumbled on one more gift from the Combiner Wars toy line. Spotted at a Walmart in Orangevale, California, TFW2005 member smf2045 has reported finding Combiner Wars Deluxe Groove on store pegs. The immediate thought is this is a case of someone returning Groove to the store from an online purchase, but smf2045 mentions there were six Groove figures on the pegs. We’ll treat this as a rumor for now until more sightings come in. Either way, if you need this figure it might be worth taking a trip to local retail stores! The post Combiner Wars Deluxe Groove Released at Retail? appeared first on Transformer World 2005 - TFW2005.COM. Paramount just sent word that the Transformers The Last Knight Trailer which debuted this past Monday has already hit the 100 Million views mark, the largest trailer launch in company history. Check the release below and check the trailer again after that! MICHAEL BAY’S “TRANSFORMERS: THE LAST KNIGHT” TRAILER REACHES 100M VIEWS FOLLOWING ITS DEBUT ON DECEMBER 5 THE TRAILER IS THE BIGGEST LAUNCH FOR PARAMOUNT IN THE STUDIO’S HISTORY HOLLYWOOD, CA (December 7, 2016) – The trailer for Michael Bay’s TRANSFORMERS: THE LAST KNIGHT has reached 100M views following its debut on December 5. A first look at » Continue Reading. 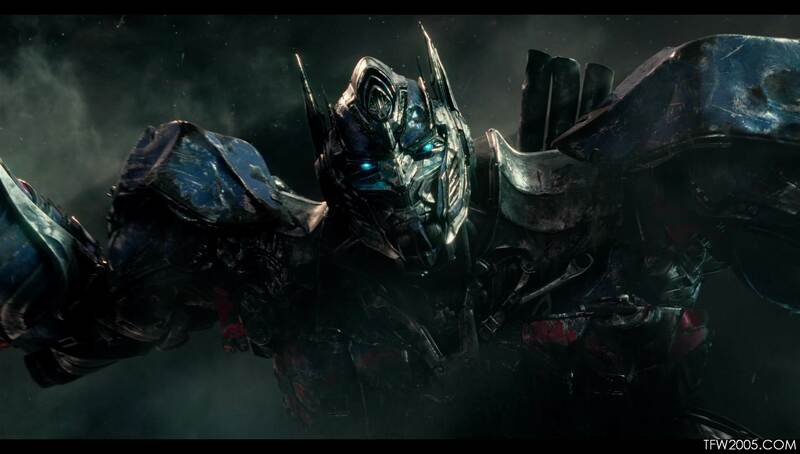 The post Transformers The Last Knight Trailer Reaches 100 Million Views in 2 Days appeared first on Transformer World 2005 - TFW2005.COM. Thanks to D-Drive of the 2005 Boards we have a look at what’s set to ship from Diamond next week. Check it below, and hit your LCS to pick them up! TRANSFORMERS LOST LIGHT #1 (also shipping Subription cover A, B, Blank, 1-in-10,25 and 50 variant covers) (W) James Roberts (A/CA) Jack Lawrence Five years ago, Rodimus and a collection of traumatised, lovelorn and/or sarcastic Autobots set off on a quest to find Cyberutopia. So far, they’ve made a right hash of it. They’ve misplaced their map. They’ve lost their ship, the Lost Light, to a mutinous escapologist. Oh, and » Continue Reading. The post Diamond Comics Shipping List for December 14th 2016 appeared first on Transformer World 2005 - TFW2005.COM. Big thanks to 2005 Boards Member Rabble for sharing new out of package in hand shots of RID Combiner Force Warriors. Included are Alpine Strike Drift, and new Autobot characters Blastwave and Stormshot. With bonus Bisk. Check them out after the break! The post RID Combiner Force Warriors In Hand appeared first on Transformer World 2005 - TFW2005.COM. It has been sometime since we have heard from the good doctor. Thanks to images from Weibo user “科长-阿盼达“, we got a look at a new accessory named “Power of Titans” from Dr. Wu. 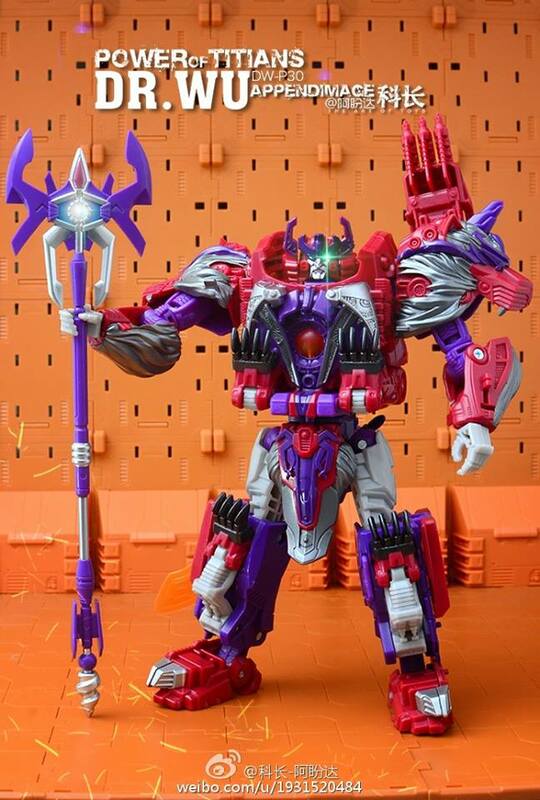 This staff is modeled after one held by Titans Return Alpha Trion in its official Hasbro concept art, which did not make it to the final voyager size figure. Unfortunately, no word on the price or release date of this accessory at this time. For the time being, check out these images after the break. The post Dr. Wu DW-P30 Power of Titans Accessory appeared first on Transformer World 2005 - TFW2005.COM. 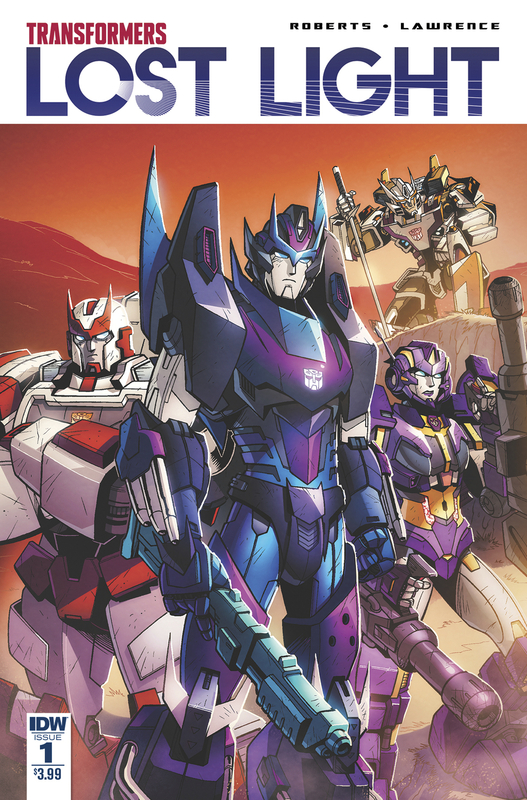 Online retailer RIPT apparel will be offering a variant cover of Transformers: Lost Light issue 1. 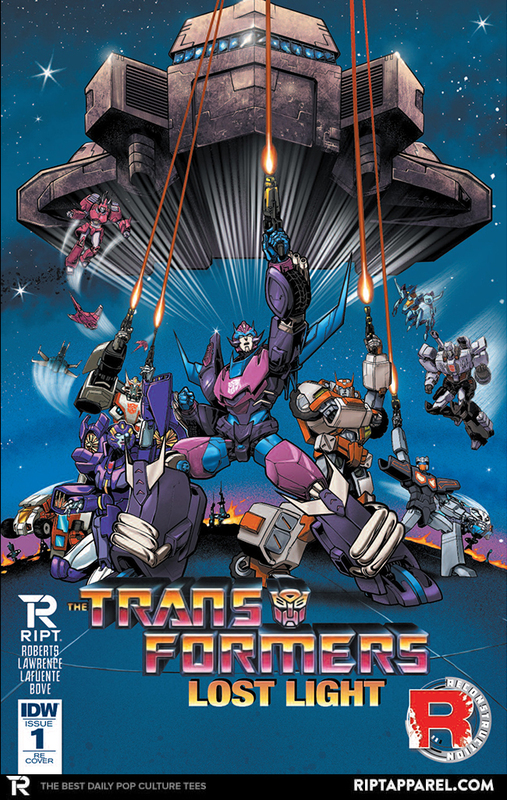 The variant cover is one of the coolest that we have seen so far, and homages the classic Transformers the Movie poster artwork. It’s a really sharp looking cover! Check it out attached to this post. The post Transformers Lost Light issue 1 RIPT Apparel variant appeared first on Transformer World 2005 - TFW2005.COM. Past 24 Hours was an interesting one for the Transformers Fans. The embargo which was placed for many months was finally lifted and the media freely told the world all the little tidbits they heard from the movie set visit. This hype led to the climax of the Teaser Trailer reveal. 2005 Boards suddenly became busy as a beehive. Multiple members all brought us links from various sources to piece together the plot elements of Transformers: The Last Knight and beyond. Check out all the info after the jump. Don’t blame us saying we didn’t warn you: Spoilers! Collider was » Continue Reading. 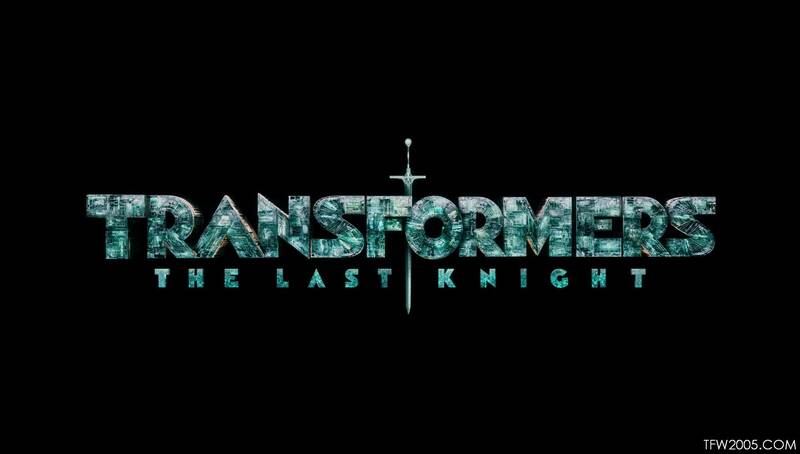 The post Transformers: The Last Knight Plot Roundup appeared first on Transformer World 2005 - TFW2005.COM.